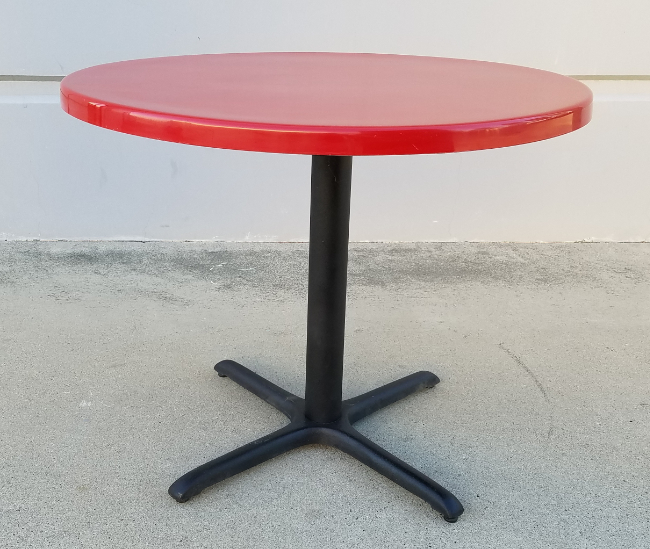 Our free-standing pedestal table features an 18 gauge, all steel column with a 22″ square to a 30″ square cast iron 4 prong base. Adjustable nylon floor glides allow for custom stability. Top Size: 19" X 24"